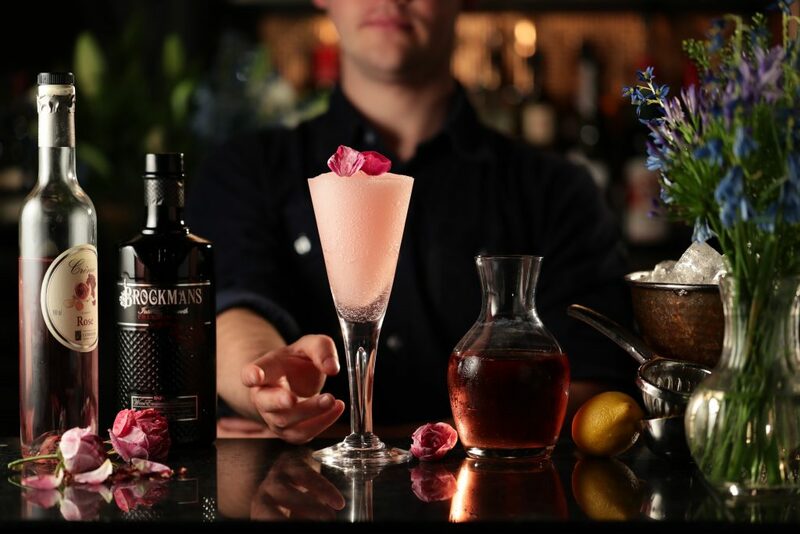 Kay begins the recipe creation process many ways, but on this occasion, she chose to start with Brockmans as her ingredient to build upon. She came to the conclusion that a creamy and rich dessert with a tart aromatic filling for the centre would be the perfect way to enhance, and tell the story of our botanical profile. 1. Preheat the oven to 180c / 160c fan assisted / 350f and line a 12-hole muffin tin with paper cupcake cases. 2. Sift the flour, bicarbonate soda, baking powder, and salt into a bowl large enough to contain them. Set aside. 3. With a hand or stand mixer, cream the butter and sugar together until fluffy and white (about 5 minutes). Beat in the eggs one at a time, being sure each one is fully incorporated before adding the next. 4. Add the vanilla extract, orange extract and sour cream and mix well to combine. 5. Fold in half of the flour mixture with a mixing spoon, once you see no more lumps, fold in the other half and mix one more time until just combined. 6. Use an ice cream scoop or a tablespoon and fill each cupcake case by half. 7. 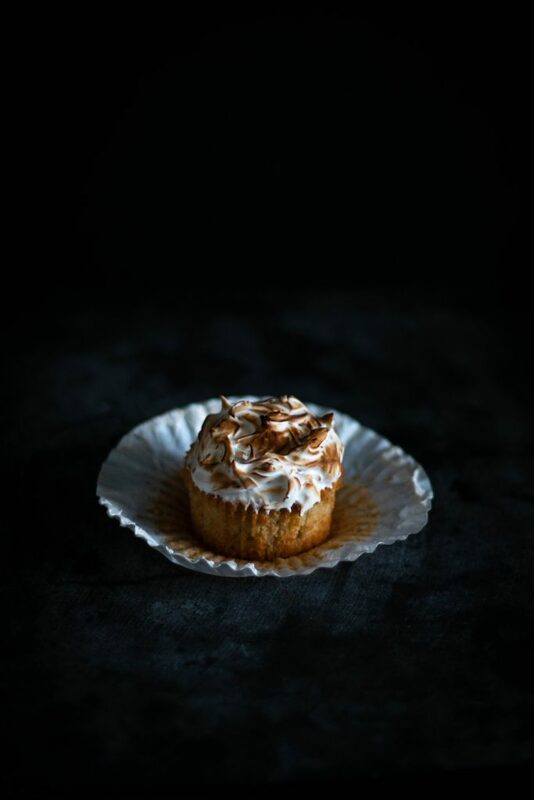 Place on the middle shelf of your preheated oven and bake for 20 to 25 minutes or until a toothpick inserted into each cupcake comes out clean. 8. Once ready, remove from the oven and allow to cool in the muffin tin for 10 minutes before transferring to a wire rack to cool all the way through. 1. Soak the gelatin leaves in cold water for 5 minutes. 2. Add the redcurrants (or your chosen berry), sugar and water to a saucepan over medium heat. Allow to come to the boil and simmer for two minutes. Whilst simmering, use a potato masher or the back of a fork to mash the berries to a pulp. 3. Remove from the heat and strain the mixture into a heatproof bowl. Squeeze the excess water from the gelatin leaves, add to the hot berry sauce and stir very well until the gelatin dissolves. 4. Add your desired amount of gin to the mixture, starting with 3 tablespoons, stir once more to combine, give it a taste and adjust the gin to your liking. Allow cooling before covering and transferring to the fridge to set. 2. Place the bowl over a saucepan of simmering water (be sure the water does not touch the bottom of the bowl), the bottom of the bowl should fit snuggly into the saucepan creating a seal all the way around. 3. Whisk the egg whites and sugar mixture constantly until the sugar dissolves and the temperature of the mixture comes to 65C. If you do not own a food thermometer, you’ll know it’s time to remove from the heat if the mixture is hot to the touch and no longer has grains of sugar when you rub it between your fingers. 4. Remove from the heat and using a hand or stand mixer, whip until the mixture is white and fluffy and forms stiff peaks. 5. Add the vanilla extract to the bowl in the last 30 seconds of mixing. 1. Using a paring knife or steak knife, carve out a section in the center of your cupcakes, being sure not to cut all the way to the bottom. 2. 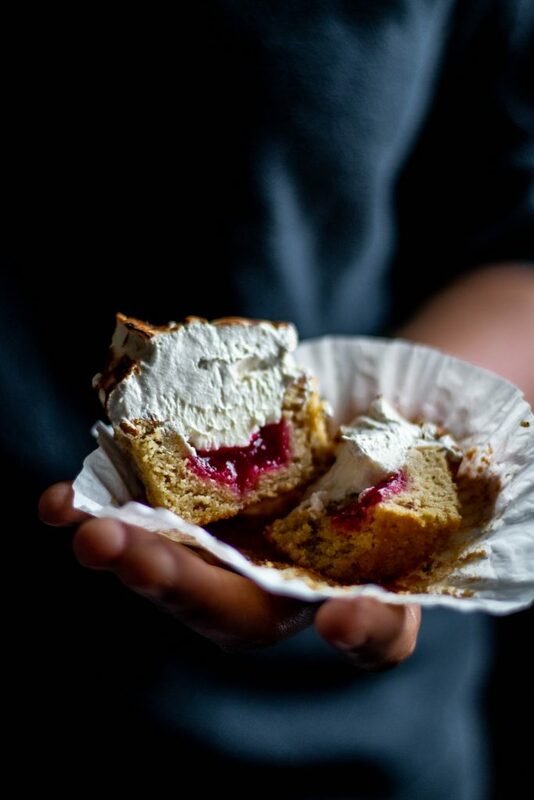 Fill a piping bag with you redcurrant jelly and fill the carved out craters halfway up. 3. 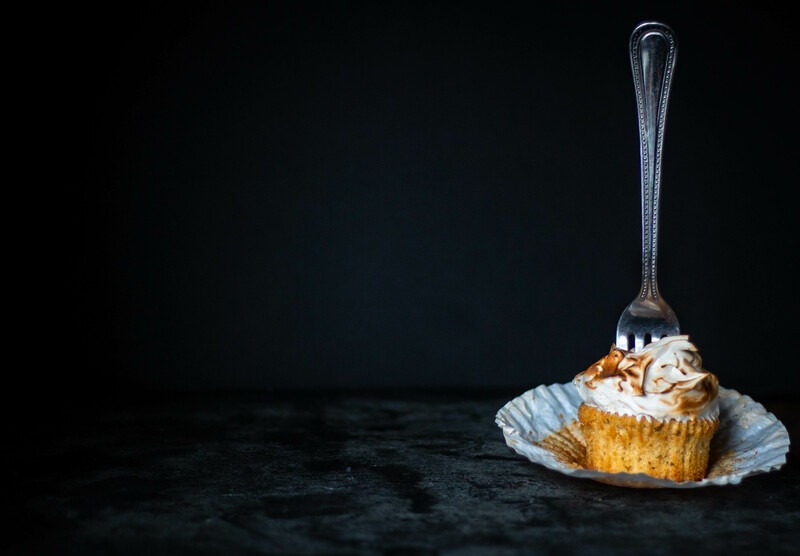 Using an offset spatula or a dinner knife, fill up the remaining space in the crater you made with the meringue before spreading it all over the top of the cupcakes. 4. 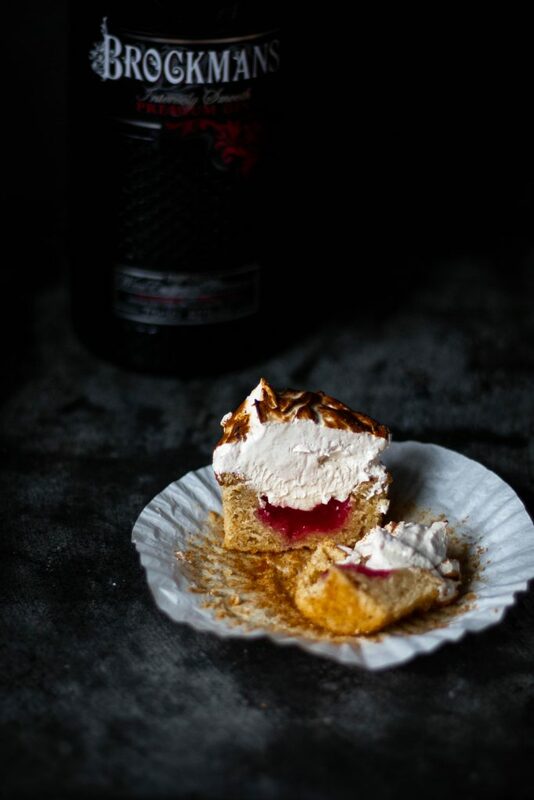 Brown the meringue with a kitchen torch.